To help class members understand the fulfillment of Samuel’s prophecies and the blessings available to those who come unto the Savior. At Baptism, What Do We Covenant to Do? Music: Pace, Kevin G., and Mark R. Fotheringham. In Bountiful., 2015. Ball, Russell H. "An Hypothesis concerning the Three Days of Darkness among the Nephites." Journal of Book of Mormon Studies 2, no. 1 (1993): 107-23. Benson, Alvin K.. "Geological Upheaval and Darkness in 3 Nephi 8-10." In The Book of Mormon: 3 Nephi 9-30, This is My Gospel, edited by Monte S. Nyman and Charles D. Tate, Jr., 59-72. Provo, UT: Religious Studies Center, 1993. Both the prophecies on the birth of Christ and the death of Christ were fulfilled in great detail. The destruction indeed altered the whole land of the Nephites. This article discusses the nature of the destruction and possibilities for the upheaval of the land, as well as the vapor of darkness. Chadwick, Jeffrey R.. "Dating the Death of Jesus Christ." BYU Studies Quarterly 54, no. 4 (2015): 135-191. This article puts forth arguments to determine the dating of Jesus Christ's birth and death, in response to a BYU Studies article from 2010. Cummings, David B. "Three Days and Three Nights: Reassessing Jesus's Entombment." Journal of Book of Mormon Studies 16, no. 1 (2007): 56-63, 86. An Egyptian stele that documents a violent volcanic eruption finds many parallels with the description found in the Book of Mormon of the destruction in 3 Nephi. John Gee asserts that this may be evidence for volcanic activity causing the great destruction in the land. Jerry Grover documents how earthquakes and volcanoes can often occurr together in cataclysmic events, accounting for both the darkness and the land upheaval in 3 Nephi. This detailed analysis provides criteria for identifying what kind of earthquake may have destroyed the Nephite lands, and what fault zone it may be located in. He determines that the Veracruz fault segment satisfies all of the necessary conditions given in the Book of Mormon as the primary earthquake fault system. Some of the destructive events recorded in 3 Nephi are dependent on seasonality and the timeline of the events. Grover proposes several possible dates for Christ's death, and thus the destruction found in 3 Nephi. Jordan, Benjamin R. "Investigating New World Volcanism at the Time of Christ's Death." Insights 23, no. 6 (2003). This article proposes a methodology for further research on the potential volcanic activity at the time of Christ's death. The author suggests that the next step in research, is to take sediment core samples from lakes in Mesoamerica to find ash layers that correspond to the dating proposed in the Book of Mormon. Jordan, Benjamin R. "Volcanic Destruction in the Book of Mormon: Possible Evidence from Ice Cores." Journal of Book of Mormon Studies 12, no. 1 (2003): 78-87, 118-119. Third Nephi 8 preserves a written account of a natural disaster at the time of Christ’s death that many assume to have been caused by volcanic activity. In a modernday science quest, the author examines research done on glacial ice cores from Greenland and Antarctica. Ice-core records can reveal volcanic gases and ashes that are carried throughout the world—the gases are detected by measuring the acidity of the ice at various layers. Many factors influence the findings and the proposed datings of the volcanic events. The ice-core records offer some evidence, though not conclusive, of a volcanic eruption around the time of Christ’s death. Kowallis, Bart J. "In the Thirty and Fourth Year: A Geologist’s View of the Great Destruction in 3 Nephi." BYU Studies Quarterly 37, no. 3 (1997): 136-190. Tvedtnes, John A. "Historic Parallels to the Destruction at the Time of the Crucifixion." Journal of Book of Mormon Studies 3, no. 1 (1994): 170-186. Unknown. "Out of the Dust: When the Day Turned to Night." Journal of Book of Mormon Studies 10, no. 2 (2001): 66-67, 71. Roper, Matthew. "A Note on Volcanism and the Book of Mormon." Insights 29, no. 4 (2009). Matthew Roper notes that a side effect of large volcanic eruptions is lessened agricultural productivity. The crops are destroyed and the soil is damaged so that it is difficult for crops to grow. This may be connected to Mormon's statement that it took 59 years for the land to be prosperous again. Blanch, Mae. "Repentance: The Gift of Love." In The Book of Mormon: 3 Nephi 9-30, This is My Gospel, edited by Monte S. Nyman and Charles D. Tate, Jr., 73-87. Provo, UT: Religious Studies Center, 1993. Blanch discusses the beautiful and powerful message of repentance found in 3 Nephi when the Savior's voice is heard throughout the land. He laments how he would have gathered them as a hen if they would only repent. Sorenson, John L. "The Submergence of the City of Jerusalem in the Land of Nephi." Insights 22, no. 4 (2002). Brandt, Edward J.. "The Name Jesus Christ Revealed to the Nephites." In The Book of Mormon: Second Nephi, The Doctrinal Structure, edited by Monte S. Nyman and Charles D. Tate, Jr., 201-206. Provo, UT: Religious Studies Center, 1989. Brown, S. Kent. "When Did Jesus Visit the Americas?" In From Jerusalem to Zarahemla: Literary and Historical Studies of the Book of Mormon, 146-156. Provo, UT: Religious Studies Center, 1998. Encyclopedic entry on Baptism in Mormon Theology. Jones, Clifford P. "The Great and Marvelous Change: An Alternate Interpretation." Journal of the Book of Mormon and Restoration Scripture 19, no. 2 (2010): 50-63. 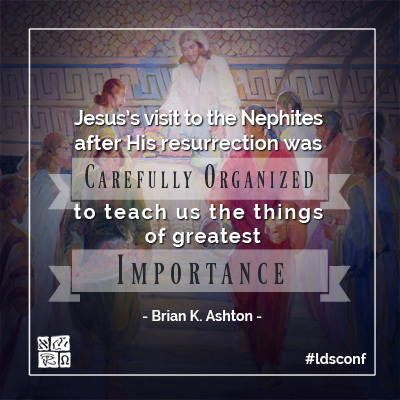 This article details the tenets of the Gospel of Jesus Christ as found in the Book of Mormon. 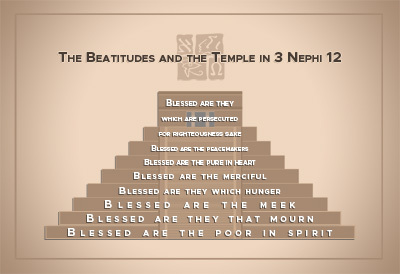 The article draws much from what Christ layed out for the Nephites in 3 Nephi. Reynold, Noel B. "The True Points of My Doctrine." Journal of Book of Mormon Studies 5, no. 2 (1992): 26-56. In a 1991 BYU Studies article, I identified and analyzed three core Book of Mormon passages in which the gospel or doctrine of Jesus Christ is defined. Each of these passages presents the gospel as a six-point formula or message about what men must do if they will be saved. Welch, John W.. "The Sermon at the Temple." In Reexploring the Book of Mormon, edited by John W. Welch, 253-256. Provo, UT: FARMS, 1992. Encyclopedic entry on the Baptismal Covenant as found in the Book of Mormon. 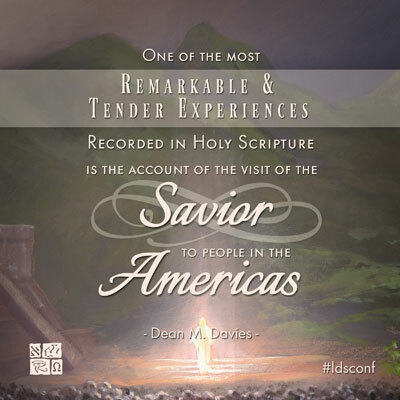 Encyclopedic entry on the Baptismal Prayer as found in 3 Nephi when the Savior visits America. Reynolds, George. "'Infant Baptism and the Sacrament'." Improvement Era 4, no. 4 (1901): 247-252. 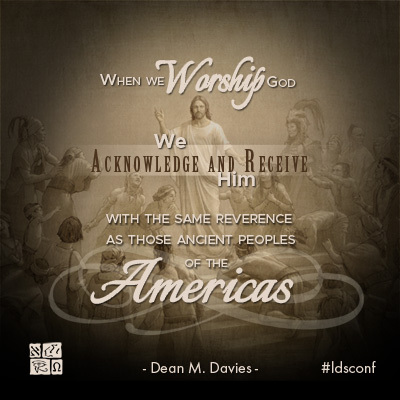 Roberts, B.H.. "Christ in the Book of Mormon: His Appearance on the American Continent." Improvement Era 27, no. 3 (1924): 188-192.